On July 18, Alaska Gov. Sarah Palin made the unusual decision of posting two documents on her website, accompanied by a harshly worded statement, denying reports that her husband, Todd Palin, and officials in her office illegally accessed her ex-brother-in-law’s confidential personnel files. The documents: a release signed by Wooten in February giving his ex-wife’s attorney access to his “entire employment file including but not limited to any and all disciplinary action(s) and complaints, and personnel records,” and a letter from her attorney addressed “To whom it may concern,” stating that any records obtained were done through proper channels. 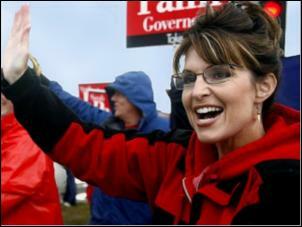 “The governor’s office, and particularly Governor Sarah Palin, has at no time had any involvement in this litigation. All records relevant to the litigation were obtained through the standard discovery process involved in every court case, as governed by the Alaska Rules of the Court,” the attorney’s letter said. On Thursday afternoon, Palin’s office removed the two documents from the governor’s official website following a news report that the law enforcement union representing her ex-brother, Mike Wooten, filed a formal complaint alleging the documents were accessed illegally and leaked. (PDF files of those documents can be found here and here,). Wooten was married to Palin’s younger sister, Molly McCann. The couple, who divorced in January, have been engaged in a bitter child custody dispute. Palin filed several formal complaints against her ex-brother-in-law over the course of three years alleging he engaged in illegal behavior while on duty. But her complaints relied heavily on second-hand information, some of which was later determined to be suspect and unverifiable. Alaska law enforcement officials investigated all of Palin’s accusations and concluded that 11 of Palin’s 36 allegations against her brother-in-law did violate department policy, including an admission by Wooten that he tasered his stepson, Payton, and drank beer while on duty. The department suspended Wooten for 10 days, which the union negotiated down to five. A spokesperson for Palin, Sen. John McCain’s vice presidential running mate, refused to say Thursday why the two documents were scrubbed from the website. The documents were posted in response to a news conference held the same day by John Cyr, Palin’s union representative, who released 482-pages of documents that detailed the extent of Palin’s complaints against Wooten. “Officer Wooten has asked that we release the records around that investigation so that the press can take an open and honest look at what happened and you may draw your own conclusions,” Cyr said. “To allege that I, or any member of my family, requested, received or released confidential personnel information on an Alaska State Trooper, or directed disciplinary action be taken against any employee of the Department of Public Safety, is, quite simply, outrageous. “Any information regarding personnel records came from the trooper himself. I question the timing of these false allegations. It is unfortunate, as we seek to address a growing energy crisis in this state, that this matter has been raised now,” she said. The same day, in response to news reports that alleged Public Safety Commissioner Walt Monegan was fired because he resisted Palin’s calls to fire Wooten, Palin told the local CBS affiliate in Alaska that the timing of the allegation was suspicious and an attempt by her critics to interfere with her plans to build a natural gas pipeline. However, Palin then veered off into another diatribe about Wooten. “So suspect of the timing,” Palin told CBS. “Will come to find out it was on Sunday that Trooper Wooten refused to obey a court order after visitation with his children, he doesn’t have full custody of the kids. He had visitation. He refused to turn the kids over. “One of his sergeants had to call him and tell him, ‘Trooper Wooten you have to follow the court order. You have to give the kids back.’ He did that with this threat. He said, ‘Get ready for the show. I’m going to bring you down.’ Here he’s talking to his ex-wife. The mother of these children.